We all know that a little prep time can solve a lot of woes in the long run, but we can also fall into the “but I just don’t have time” blackhole. Wait a minute, then how on earth do we still make time to watch our fave TV shows and, according to some recent research, spend 6 hours on social media per week?? Clearly, we can “make time”. It’s kind of a compliment. We’re all really good at making room to do more stuff, if we really wanted to. Kind of like when that cliff hanger rolls over to the next episode, we find another half hour to watch it. No worries. When we rush out of the house for work in the mornings (sans coffee or lunchbox), we end up having to outsource our meals (and coffee) to the food industry. 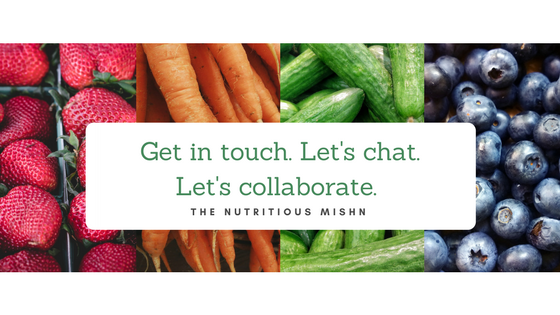 By taking ownership of even just a portion of our food and meals, we not only empower ourselves with an essential life skill but can also reconnect with and reappreciate real food, real ingredients. A client I work with once told me, “forewarned is forearmed”. Only a few weeks before these wise words, the his extent of any food-related tasks was putting choosing from menus and display counters, and adding dressing on salad mix. Now, he’s chuffed as he proudly packs his tupperware of fresh fruits and a topped-up water bottle into his work bag. In his new routine he also packs a lunchbox full of homemade snacks for his business trips. A money-smart, health-smart and (for me) tear-jerking achievement. Why do I want to meal prep? How would doing meal prep help solve my current problems? = approx $4,500 per year … sounds like an attractive holiday. For me, I was recently presented with a life opportunity in which I chose to try full-time meal prep for 3 weeks. For some context, I live in a lively household with my siblings and parents. We all leave at different times in the morning so breakfast is a make-it-yourself approach, and I share the lunch/dinner cooking load with my mum 40:60 (thanks mum!). When my parents announced that they were packing for a 3-week holiday, I could have easily outsourced the remaining 60% of cooking, not to mention 80% of house chores. But why not make the most of this opportunity. If you’re making snacks and meals in advance, it’s super helpful to have a stack of reuseable containers to pack, seal and freeze individual portions for later. They also stack nicely in the fridge for tomorrow. Glass containers are more durable (especially for staining foods like curries, lasagne and pasta sauces) but you can start with a simple stash of plastic takeaway containers – these are handy for storing pre-chopped veggies that you can use later in the week, or to pack fresh fruits, nuts, yoghurt or even overnight oats (spare jam jars work better for this particular example). While you’re on a roll and bought your weekly groceries of carrots, zucchinis, onions … whack them on the chopping board and dice, slice, chop them up and put them in ziplock bags and tupperware containers so that they are ready to use when you cook during the week. Pre-chopped onions in containers are super handy – all the crying is done in one session! But note, fresh fruits and veggies should be used up ASAP, especially once cut up since they can lose their vitamins and antioxidants more rapidly than un-cut, whole versions. Leafy greens only last a couple of days, while carrots and broccoli last a couple more days. To minimise nutrient loss, only pre-chop and store for a couple of days in advance and then do another batch midweek. This might sound like typical meal prep advice, but it’s true! Make every precious time you set aside for cooking a good investment. Boil eggs by the dozen and choose easy bulk-cooked ideas like lasagne, casseroles, batch-cooked stirfries, curries, and frittatas. Use recipes for 4-6 people and make double if you need to. Eat one serve on the day, another in the fridge for tomorrow and the rest in the freezer. You’ll soon accumulate your very own range of frozen meals that you can continue to add to. Try my recipes here. Save yourself the future woes when you’re commuting home and stressing about what to cook for dinner when you get home. Allocate an hour each week to you sit yourself down and make a menu calendar for the week ahead. Use pen and paper, an excel spreadsheet, crayons.. whatever you need. You don’t need to think Masterchef – it can literally just be about planning Monday lunch is a chicken sandwich, dinner is spag bol, Tuesday lunch is tuna sandwich… The menu calendar will help you make a shopping list to stock up correctly, reduce food waste, provide some structure and less mental energy needed on the commute home from work. Learn to be flexible with it too – if you marked Tuesday dinner as a pasta bake and you don’t end up feeling like it, there’s nothing stopping you from swapping it with Thursday’s salmon, rice and stirfry dinner. Sometimes, meal prep sounds like a bit of a tribe and once you start you might feel guilty or ashamed if you ever buy meals out. NO – it is completely normal and you should actually give yourself a pat on the back for your efforts. Establishing a routine of meal prepping is fantastic, but you need to consider how sustainable this routine is for you. Perhaps you can better maintain it if you allow yourself to take a break now and again by having an eat-out meal or a brunch day with your mates. Taking a break can prevent you from burning out, stressing out and may help to make meal preps more enjoyable. It’s all about learning as you go and tweaking your own meal prep strategies.